A few weeks ago I was working with a new client at FiveX3 Training. It was his second or third training session, and we were having a little friction about programming and weight selection. He had some prior training experience but, as with almost all new clients, we started him on a Starting Strength novice linear progression on Day One. By day three, he was grumbling that this was not the way he was used to doing things and that he would prefer to do this or that rather than the prescribed workout. At this point, I said that if our client-coach relationship was going to be productive he needed to be more “coachable.” To which he replied, “Does that mean just doing what I’m told?” This was clearly meant as a challenge, but I took it as an opportunity to discuss the qualities a client should bring to the table in order to get the most out of working with a coach. Movement: this involves a systematic process of instruction, observation, and correction that results in progressive convergence of the coached movement pattern to a standard model. Programming: it involves the application of a training program consistent with the client’s level of training advancement and the progressive modification of the program as that level changes over time, in order to drive continuous adaptation. For some people, the transition from just “working out” to being coached can be jarring. The constant feedback and correction – particularly the coach’s focus on the deviations from a standard model – can create an adversarial dynamic that is counterproductive. Even for those with prior “personal training” experience this can be difficult, since the average trainer will do little more than count reps and is unlikely to have provided much in the way of true coaching or any real criticism. During my conversation with our new member, I rattled off a list of qualities I considered important in a client who was going to make good progress working with us. 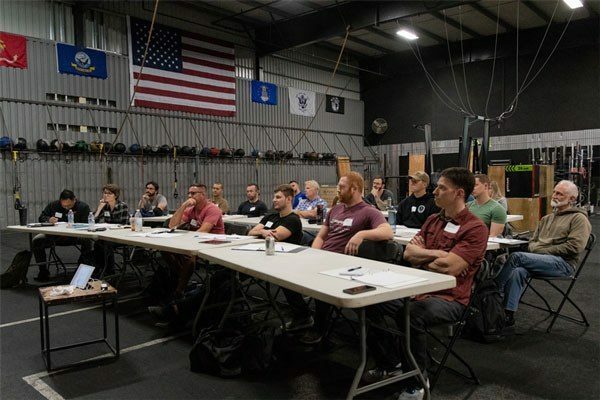 By the end of the day, having discussed it with two other Starting Strength coaches, I decided it would be helpful to put that list down as a document that prospective clients could look through. That was the motivation for this article, which discusses some of the most important qualities, in my opinion. If you or someone you know is considering hiring a coach, this discussion may be helpful. Coaching is expensive for the client and hard work for the coach, so let's make the most of it by being prepared. Regardless of the level of training advancement, clients seek coaching when they feel the need to improve some physical quality. In our case, most clients are looking to get stronger and move better. By the time they contact us, they have already done some research on our qualifications as coaches and on the results they can expect from training at our gym. 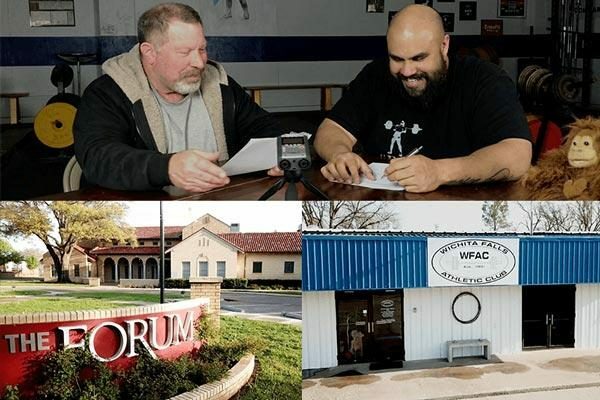 They may have read testimonials, been referred by a friend, or done some reading about us in the Starting Strength coaches directory and listing of Starting Strength Gyms. After meeting us in person and watching current clients training and being coached, they have a pretty good idea about our training philosophy and coaching style. At this point they have enough information to decide whether they want to train with us. From there on, the coachable client is open to our input. A difficult client will question our input at every turn. This doesn’t imply that a client should not ask questions or seek to understand the principles underlying our coaching. However, there is a time and a place for everything. And early in the client-coach relationship the client should be open to accepting correction from the coach. After all, they have already spent time researching the coach’s qualifications before committing. The whole relationship is predicated on the fact that the coach has the experience and ability necessary to help the client improve. Being open and receptive to input is the most expedient way to make that potential improvement a reality. Resisting the coach’s input will only diminish the return on the investment. Clients may be closed to a coach’s input for many reasons: perhaps a poor experience with another coach, maybe a lack of confidence in their own ability to perform, or quite possibly too much time spent reading nonsense on the internet. Whatever the reason, these are all manifestations of the same phenomenon: substituting their own judgement for that of the coach. 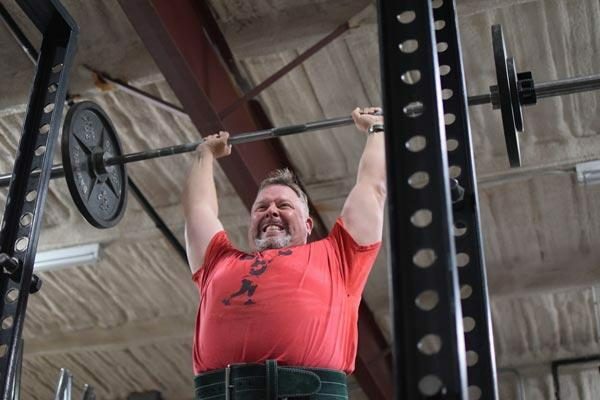 The weight on the bar is another example of a coach asking a client to be uncomfortable. As long as proper form is maintained, strength will increase by progressively raising the weight on the bar. After the initial couple of weeks of training, this may present a challenge for some trainees. Sooner or later, most new clients will get to the point where they start asking whether it would be okay to just repeat the last weight until it “feels better” rather than face the challenge of another increase. Trust is crucial at this step. A good coach will not ask a client to perform any movement in a way that has a substantial probability of injury, and will instruct the client on how to safely miss a rep on the available equipment. 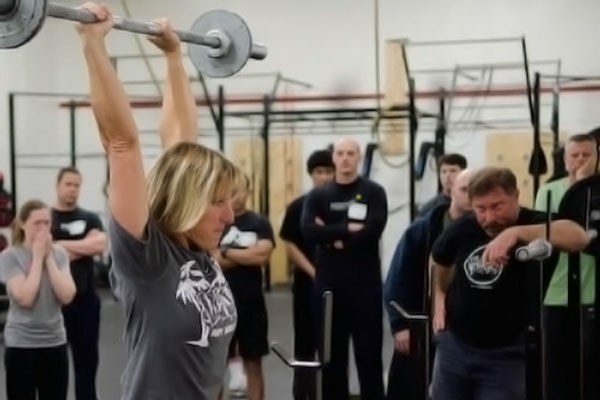 If the coach says form is good enough to add weight, the client will be best served by placing trust in the coach and attempting the heavier weight. Taking weight off the bar can also be an issue of trust. 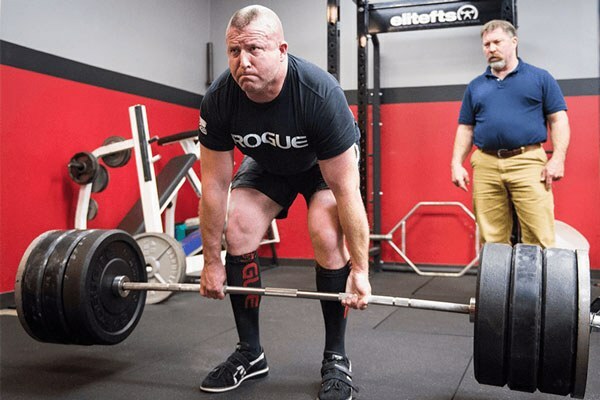 Sometimes a coach will deem it necessary to lower the weight during a reset for a novice client, or introduce lighter training sessions for a more advanced one. While some people are happy to take weight off the bar, others are concerned that it will lead to the loss of hard-earned gains. The coachable client will trust that there is a method to the manipulation of the weight on the bar in order to drive long term progress – a logical explanation usually suffices. I often tell my clients that I don’t care what the exact weight on the bar is today or tomorrow, but rather what it will be in six months. Today's and tomorrow’s workouts are just steps toward the goal of being stronger in six months. It takes a little bit of trust to accept that the coach has a plan aimed at creating progress in the long term. Few things are more frustrating to a coach than a client who will not show up for all the workouts. Strength training, the way we understand it, is the progressive accumulation of strength through the application of consecutive cycles of stress and recovery. That accumulation only happens if the components of the stress/recovery/adaptation cycle are applied in the correct time frame. For a novice trainee, the timing is usually one workout every two or three days. Sometimes we meet a prospective client who says he is really eager to get started right away because he has a bunch of stuff coming up in two weeks and he isn’t sure how much training time he will have available then. In those cases, we explain that training is not the same thing as “exercising,” that it requires a different degree of consistency and commitment, and that he would perhaps be better served by coming back when he is ready to train regularly. For a novice client, the start of the training cycle is the most important time. This is when the client learns the lifts, making fast improvements in strength and technique in a short period of time. If this process is constantly interrupted, several bad things will happen. After every interruption the client will have regressed in technique, because it never got a chance to solidify. Coming back to the gym after a break, the lifts may have to be re-learned, sometimes from scratch. Strength may also have regressed, or at least not progressed during a break, so the coach will likely suggest taking some weight off the bar. In addition, training volume may be reduced on the first session back, particularly in the squat, in order to avoid excessive soreness. These issues combine to slow down or completely halt progress, depending on the length and frequency of training interruptions. The result is a client who makes no progress, and for whom training degenerates into just exercising. He shows up at the gym, albeit irregularly, and looks like he is training, but really he's just exercising. Some clients may be satisfied with that, but good coaches find it frustrating because they know that much better results could be obtained if the client was consistent. To be perfectly clear, exercising with squats, presses and deadlifts is infinitely better than doing it with triceps extensions. So, given the choice, I would much rather have an inconsistent client at our gym doing useful work even while making slow progress due to an irregular training schedule. But the difference between a Coach and a Personal Trainer is that the former is focused on a client’s progression, while the latter is content to just complete each workout. If you enlist a Coach to help you, be prepared to show up and train, because that is what your Coach will expect. The complementary quality to consistency is flexibility – the ability to make necessary deviations from the training plan. Deviations may be due to schedule, injuries, personal limitations or changes in fitness goals. The coachable client will work with the coach to modify the training as needed to accommodate any of these circumstances. All too often we see clients doing very well until something disrupts their routine and they just disappear from the gym. When we reach out to find out why they aren’t showing up, we hear some common themes: been busy at work, been sick, tweaked my knee playing soccer, etc. These folks thought that if they could not do the program as written, then there was no point coming to the gym. One of our clients went as far as telling me she was afraid we would kick her out because she couldn’t squat due to a minor injury. The subject of injuries is particularly relevant here. Active individuals who strive to use and improve their physical abilities will get injured every once in a while. Most times, this happens outside the weight room, since strength training is a very safe activity. While injuries will have an impact on the ability to train, they are usually not a reason to completely suspend training. Barring extreme cases, we can make progress in some area while helping an injury heal. 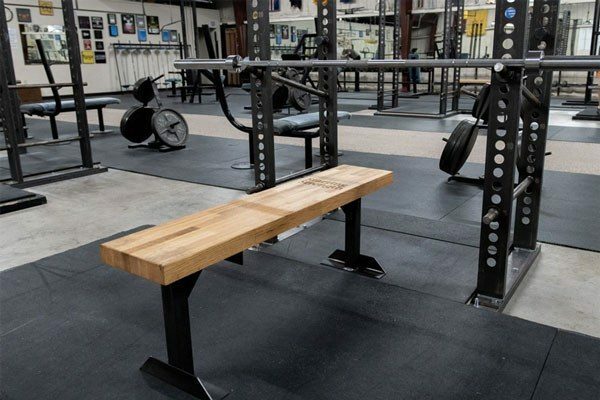 We have seen many people PR their bench during a period when they were taking a break from heavy squatting because of a knee or back injury. Even working with very light weights will keep a movement pattern fresh. Being flexible about the nature of your training while rehabbing an injury will lead to better long term progress than stubbornly trying to follow a fixed plan that no longer applies. Training programs are written for a reason, and it makes sense to try to stick with them, but a good coach will be able to make adjustments to account for just about any issue that may arise. The coachable client will follow those adjustments and not allow the quest for training optimality to distract them from training progress. Is it true that the squat is a great overall strength builder? Of course. Can people get stronger without squatting? Of course. Is it best to perform full body workouts every time you go to the gym? Probably. If you only have thirty minutes to train today, should you just squat and leave? Absolutely. Sometimes clients – and coaches – get so attached to the specifics of a program that they lose sight of the larger goal. While this is not an excuse to reject basic principles, a bit of flexibility can make for a more productive and enjoyable relationship between client and coach. Having seen hundreds of people come through our doors, we have gotten pretty good at spotting the ones that will be making swift progress. Some of this is determined by the person’s innate abilities and athletic background, and cannot be controlled. But a good portion of if has to do with their attitude toward training and being coached. The qualities above are by no means an exhaustive list, but in my opinion they constitute a good starting point for prospective clients. Securing the services of a coach can be a big step. Coaching may be expensive and time consuming; it demands a high level of accountability. If you are going to take that step, you owe it to yourself to get the most out of the process. Be open-minded. Trust your coach. Stick with the plan but be flexible. You will be much stronger for it.